Our conveyancing lawyers help you realise your new property. We expertly prepare all necessary documentation to help you grow. 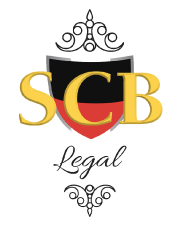 SCB Legal assists all types and sizes of businesses with their commercial law matters. Whether you are a sole trader, small or medium sized business, managing a business, buying and selling goods or property for profit, employing people, or entering into agreements with clients and other businesses, we can help you with all your legal requirements. Are you looking for a lawyer you can trust with your agreements? What Does A Conveyancing And Property Lawyer Do? When you are buying or selling a home, land or investment property, you are required to follow a step by step process including signing a contract. The legal work involved with this process, such as preparing the contracts, mortgage and other legal documents, is called conveyancing. While it is possible to do conveyancing on your own, most people choose to use the services of a licensed conveyancer or solicitor. The main authority when dealing with conveyancing laws is the Land and Property Information when in NSW. If you reside in a different Australian state, you can consult the land and property information in your state. Would you like one of our conveyancing solicitors to prepare a contract for the purchase of your new investment property? Contact us today to arrange an appointment with one of experienced property lawyers. There are also other legal forms that are issued by various government departments. These need to be completed and some of these certificates may take several weeks to obtain. When all searches are complete and the terms and offer are agreed on by both the vendor and purchaser of the property, a contract is prepared and signed by both parties. Exchange is the legal process whereby the contract for sale becomes binding for both the buyer and seller. 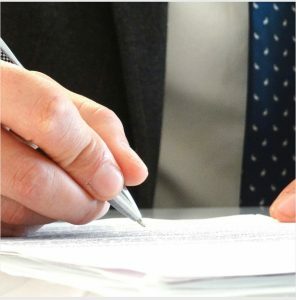 This stage includes a meeting between the solicitors of both the purchaser and vendor where a contract, signed by the buyers is exchanged with a contract signed by the vendor. At this meeting, the solicitors make sure that all documents are identical and that no errors or discrepancies exist. Once this has been confirmed, contracts are dated and swapped. This is the point in which it becomes legally binding and both parties are legally obligated to uphold their contractual obligations. On some occasions, the real estate agent will exchange the contracts on behalf of the parties. It is a requirement of the purchaser to pay the stamp duty on the property. The purchaser becomes liable for stamp duty on the date that contracts are exchanged and they must pay this within 90 days of the date of the contract. It is a legal requirement that the contract includes a cooling off statement and period. If this is not included in the contract, the purchaser has the right to rescind the contract at any time. Cooling off provisions allow the purchaser to rescind the contract for any reason before 5pm on the fifth business day from when the parties exchanged the contracts. If the buyer chooses to take this option, they are agreeing to forfeit 0.25% of the purchase price of the property. It is important to note that the cooling off period can be waived by the parties. The purchaser of the property is entitled to a pre-settlement inspection in the three days before completion. The purchaser’s agent can arrange a pre-settlement inspection. If the purchaser discovers problems that they are unwilling to accept, they can withhold settlement until the issue is resolved. Neither party can terminate the contract immediately due to this type of breach but delaying settlement provides the vendor with the necessary time to correct the problem. If the purchaser wishes to avoid a delay, it is possible to negotiate an arrangement where the settlement is continued. In this scenario, the buyer withholds a part payment from the vendor until the issue is resolved. This is the final step in the conveyancing process and is the point in which the purchaser takes possession of the property. All finances are settled and the transaction is completed entirely by this juncture. Prior to settlement, the purchaser should finalise settlement finances and cheque details before establishing a time and place for the settlement to occur. The settlement agent will ensure the existing mortgage is paid in full and any caveats on the property have been lifted. They will make the transfer official by then registering the transaction. During the settlement stage, the purchaser pays the balance of the property’s purchase price and authorises the release of the deposit. Vendors are responsible for giving the purchasers the executed transfer document and title documents. The representatives from both parties might attend the settlement to receive the final payment or to secure their rights on the new mortgage. The transfer and title deed documents are signed and the lender will arrange for the Land and Property Information to register the transfer and the mortgage on title. Review the terms of your newly acquired commercial lease and determine what is required to transfer it. We work on many types of business sales, purchases and mergers and can assist you from preparation, throughout the negotiation process to the final completion. Do You Need Assistance With The Various Commercial Property Agreements? to either or both of the previous questions, then you require an expert property lawyer. Call SCB Legal TODAY to eliminate the legal jargon and facilitate the deal you desire!